Extensive research reported that only children (“Onlies”) have different daily behavior from children with siblings (“Others”) in the real world. 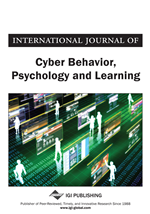 However, little is known about whether Onlies and Others behave differently in the cyber world, especially on the social network. A pilot study has been conducted to compare the behaviors of Onlies and Others on Sina Weibo, a leading social network platform in China. Through analyzing both online Weibo data and survey data from 1792 Weibo users (52% Onlies), several differences between Onlies' and Others' Weibo behaviors were found: Onlies tended to be more willing to express themselves and be more active in social communication within a smaller social circle than Others. More explorations should be done to fully understand these differences between the two groups. More than three decades have passed since the implementation of China’s One-Child Policy in 1979, leaving more than 160 million of such a child without sibings. The behavioral consequences of not having siblings have long been an interesting issue in psychology, and is becoming a particularly widespread concern in China (Jiao et al, 1986; Wang, Leichtman, & White, 1998). Differences between the only children (Onlies) and the children with siblings (Others), especially in social behaviors, may bring an appreciable impact to China’s society. Meanwhile, the One-Child Policy also generates the world’s largest Onlies population and provides an opportunity of studying the only child impacts. In past decades, researchers have conducted series of studies comparing the behavior of Onlies and Others. Through extensive research (e.g., Cameron et al., 2013; Falbo & Poston, 1993; Jiao & Ji, 1986; Liu, Munakata, & Onuoha, 2005), various empirical findings of the comparison between Onlies and Others have been reported. Though many researchers found behavioral differences in favor of Others, there were also some unignorable results making the whole picture mixed and inconclusive. Many studies showed that Onlies, as the “little emperors”, did underperform than Others in some social behavior respects. For example, Jiao et al. (1986) compared matched pairs of Onlies and Others and examined seven behavioral features, finding that Onlies were more egocentric and Others had the positive qualities of persistence, cooperation, and peer prestige. Recently, Cameron, Erkal, Gangadharan, and Meng (2013) reported that sibling deprivation lead to a series of negative impacts on Onlies’ behaviors, and Onlies were significantly less trusting, less trustworthy, more risk-averse, less competitive, more pessimistic, and less conscientious than Others. Meanwhile, in other studies Onlies performed as good as Others, or even better. For example, Falbo & Poston (1993) conducted a study of 1,000 school children and did not find any disadvantage of Onlies’ performance. On the contrary, Onlies outperformed Others on academic and physical activities. More recently, researchers (McKibben, 2013; McMenamin, 2013) claimed that there are not many differences between Onlies and Others, and even for those few observed differences, such as achievement motivation and personal adjustment to new situations, they are actually favorable to Onlies. This may be due to environmental impacts rather than the condition of being an only child, like the stereotype of Onlies in a predominantly sibling society, determined many reported differences between Onlies and Others (Sorensen, 2008). Most of previous studies exploring Onlies’ and Others’ behavior were to compare their behavioral differences in their childhood in the real world (e.g., Downey, Condron, & Yucel, 2013; Falbo & Poston, 1993; Jiao et al., 1986). Recently, as the one-child generation grown up, studies of adults as Onlies have been reported (e.g., Cameron et al., 2013; Yang & Yu, 2013), which conducting experiments in the lab. To understand the impact of the Onlies generation to the society, these two types of research have provided valuable knowledge and much more studies should be conducted. The lack of daily behavioral data of Onlies and Others in their adulthood in real life was partly because these data was relatively difficult to obtain. Researchers can hardly have chance to immerse into others adults’ living environments and record their performances. However, this has been changed in the internet age, by the popularity of social network.